Hallo, hallo! 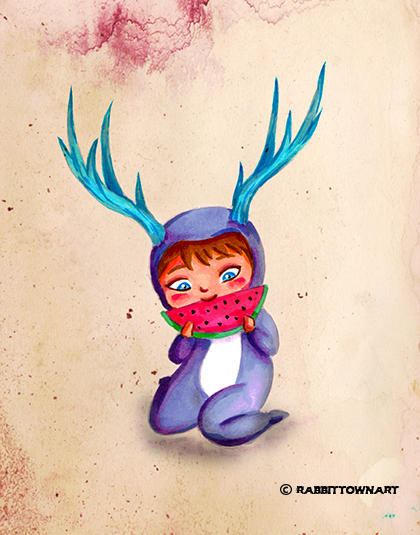 This is a character I came up with last week during my game with Kookylane on our tumblr Kookyrabbit. Bah! It's so distracting! Game 03 is already on the 5th round. I spend a bit too much time on it but it's awesome! Got quite a few new illustrations up! Now...I need to finish a Melb Uni thing and then get onto my Tarantino submission. It's already due next week! Time really flies sometimes!